Love this photo. The straight lines, crossing each other, the curves and those shadows. I like how there are shadows in the foreground and then open space of light and then again shadows over in the far corner. The contrast of light and textures. Delicious!!! Yes, you know me and my attraction to shadows. I couldn’t resist this shot! And not just a great shot, composition and – wit. Thanks….got to interject some humor! Love this shot… wonderful example of patterns! 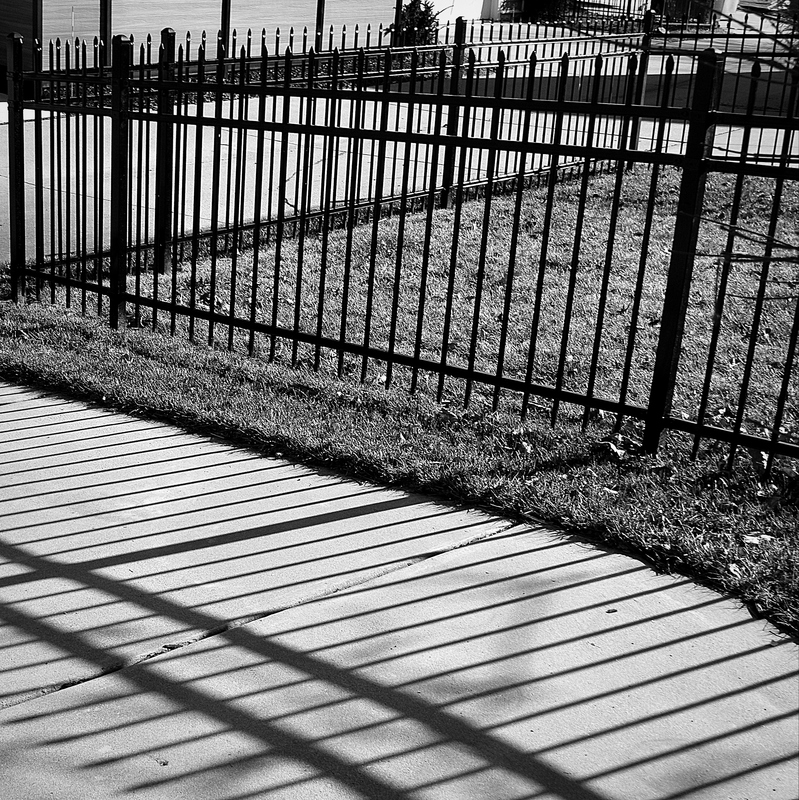 Fences create some pretty neat shadows.